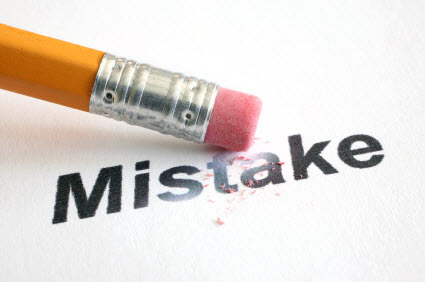 There is one mistake that you might be making right now that will cost you opportunities. I see a lot of people making it, and once you make this mistake, it is difficult to recover. The mistake? Not recognizing where your dream client is in their buying process. You take your prospects where you find them. If your prospect is dissatisfied, you help them to understand what they need to do to produce a better result. If your dream client knows what they need, you help them to define those needs and the potential solution. If they are evaluating their options, you help them to understand the range of choices available to them, and you give them your best advice. If they are trying to make the case for change within their organization, you help them find consensus. If they are trying to justify their decision and deal with risk and uncertainty, you help to assuage their fears and resolve their concerns. If they need something else, you help them with it, whatever it may be. It matters more where your dream client is in their journey than where you believe you are in your sales process. If you are ahead of or behind your client, you aren’t paying attention. You have to recognize where your dream client is so that you can create value for them where they are. That’s how you help them move forward. If your dream client isn’t dissatisfied, they aren’t ready for you to pitch them. They need to believe they need to change before they will entertain your ideas, regardless of how wonderful your product, service, or solution might be. And regardless of how much it will help them. If your dream client knows what they need, challenging them with ideas that don’t resonate with what they want now doesn’t help them, even though they may be wrong about what they need. If your prospect needs help making the case for change, building a solution without the necessary stakeholders only proves that you don’t care about what they need, creating greater resistance to the support you and your client need. Every prospective client you have goes through these stages or something like them. If you want to be effective in creating value and helping them along their journey, you have to first recognize where they are now. The more you understand about what your prospect needs now, the more easily you can help them with it and the faster you move things forward–for you and your client. Do you know where your dream client is in their process during your first interaction? What questions can you ask to discover where they are and what they need? What do you need to do to align your call objectives with helping your potential client with their objectives? Hit reply to send me your thoughts, stories, ideas, and observations. Pay attention to the cues your dream clients are giving you this week, and I’ll see you back here next week. P.S. If you are going to be at Dreamforce this year, send me a note so we can try to say hello in real life. I speak on Wednesday, but I will be around Tuesday for sure.